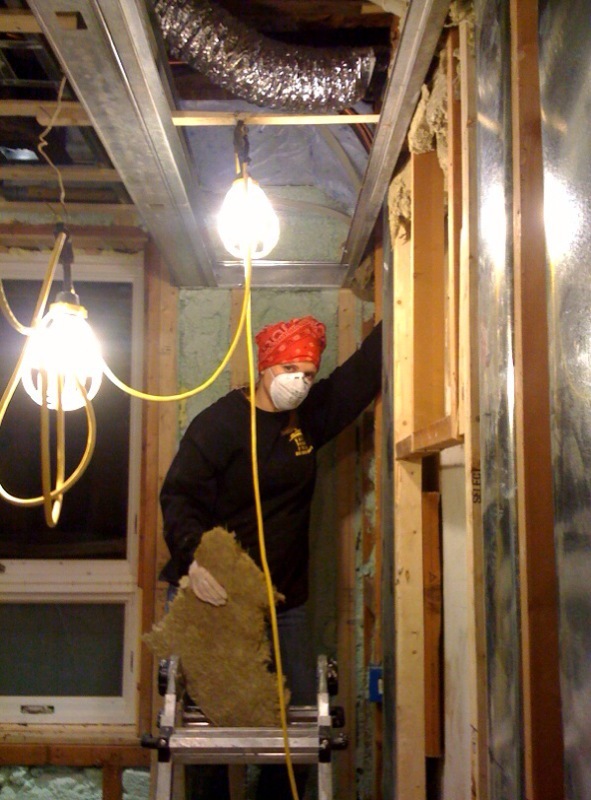 Note the long sleeves, bandana, mask and gloves- I’m not a fan but they also recommend eye protection. 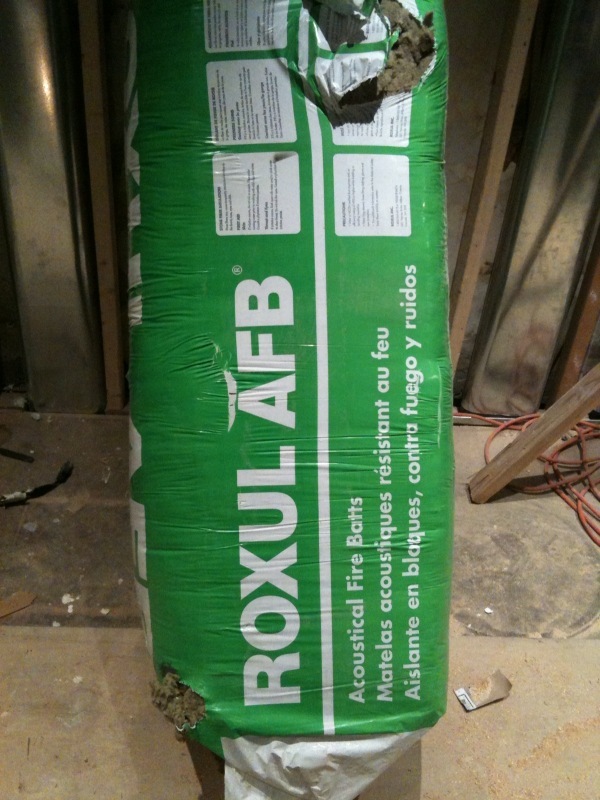 The Roxul was extremely difficult to find; the people at Lowes/ Home Depot gave blank stares and we ended up getting it from a building supply place. Also, in case you’re wondering, we took this precaution and went to all this trouble… because our inspector requested it!